We’ve received many requests recently to give our readers a breakdown of how much they should save towards retirement. It’s a common question that has a surprisingly simple answer once there is an understanding of the basic concepts behind this calculation. If you’re our regular reader, you probably already understand how compound interest works and why it’s so important. 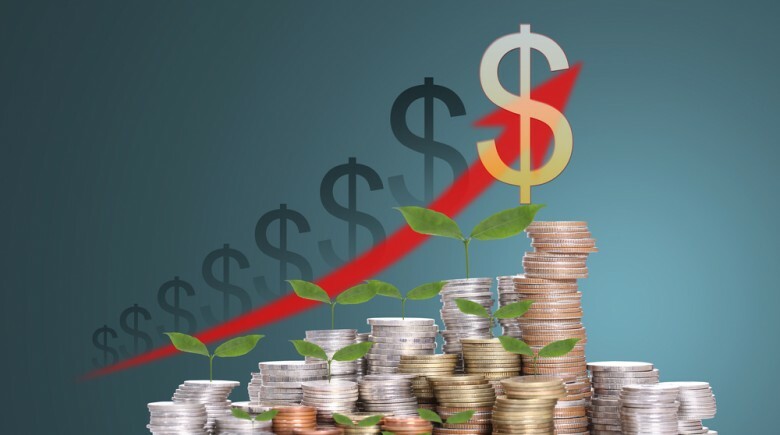 However, since maximizing the value of compound interest over time is going to be foundation of the rest of this article, we wanted to give a brief example for our newer readers so we can all start on the same playing field. Invest early, and invest often is a simple way to look at the how you save for retirement, but the question is why? The answer is some simple math, and the concept that not only is your contribution going to grow over time but so will the growth on your investment. Try to think of a snowball rolling downhill, and as it rolls it gets bigger and bigger as more snow sticks to it and because of it’s larger size it is able to pick up even more snow. That is the same way that compound interest works. For example, let’s say you invest $1,000 per month in a basic S&P 500 index mutual fund, which historically over the last 50 years has produced 8% per year in growth. Assuming there are no fees on the account, which is unlikely but makes this a simpler explanation, after 50 years of $1,000 contributions you should have about $620,000 in your account. This large amount is the result of compound interest. As you continue to put $1,000 in the account the total account balance earns 8% interest every year even on top of the interest that was paid to you in prior years, creating that snowball effect we spoke of a moment ago. As you can see, compound interest is most effective over longer periods of time so starting early will allow for your account to grow significantly more than if you start later in life. The next step in determining how much to save for retirement is to figure out when you’re going to retire and how much you will want to live on. The first step to determine how much you will need to save is to decide at what age you plan on retiring. If you’re going to retire earlier then you’ll have to save more money each month than if you planned to retire later on. For this article we are going to use the standard US retirement age of 65 to work with for our calculations. The next step is to figure out how much you want to live on each year in retirement and work backwards to find how much money you need to save in total so that your retirement account can support you through the end of your life. A rule of thumb in the industry, that has been backed up by numerous studies, is that the average costs for a retiree are roughly 75% of what you lived on while you were working. This number is known as your replacement rate as it is replacing the money you would have from your income for your job. However, we still have to account for inflation and rising prices of goods over time so you probably want to add another 3% to this amount to give a little wiggle room. Next just take your annual income you would like to have and multiply that by 78% to find out the annual amount you’ll need. Next, multiply the amount we just found above by how many years you expect to live during retirement. For example, today a 65-year-old man has approximately a 20% chance of living to age 90 and a 65-year-old woman has a 33% chance of living to 90. While it’s impossible to know how long you’ll live, your safest bet is to assume you’ll live 25 years after you retire. So let’s assume you decided you need $50,000 per year in retirement, that would mean you need a retirement fund of $1.25 million ($50,000/year x 25 years of retirement = $1.25 million). Now you know how to find out how much you’ll need to live on each year in retirement and how to determine how large of a pool of assets you’ll need to match your living expenses. The final step is to calculate how much you’ll need to contribute each year to meet your goal and build your retirement account to meet your needs. The easiest way to do this is to use a simple retirement calculator you can find online. As it was clearly stated in the intro to this article, the earlier you start to save the more your money can go to work for you so regardless of how far away you are from retirement your best plan is to start today and save as much as you can to ensure a comfortable retirement.